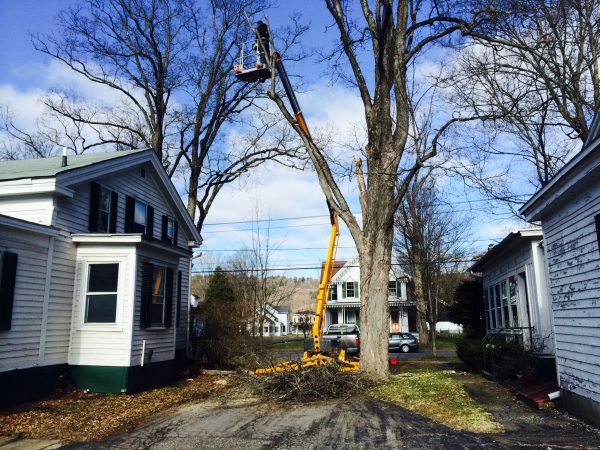 We offer hazardous tree removal with a bucket truck or climbing services. We can handle anything from one tree to 1,000 trees. We offer trimming and pruning services with our motorized pole saw. We extend our heartfelt thanks to Brent Trimbell and his team of professionals for praiseworthy tree service on our property. The urgent nature of the project received the prompt attention it deserved. Brent provided lawn maintenance for several years while I owned a second home in Bovina, NY. His service was excellent. The lawn was exquisitely maintained, he was always a pleasure to work with, and was helpful with a lot of other issues that crop up from time to time with a 100+ year old house. I would highly recommend Brent. We would like to thank you for your advice, input, professionalism, and the care you took in restoring the property.......in fact, improving it. You did a great job, and we would gladly recommend you to any potential customers.